Demolition Contractors Insurance Pennsylvania. Demolition contractors are in the business of tearing down roofs and walls. This type of work involves heavy machinery and falling objects, which could put them, their employees, and anyone they work with or who is near the jobsite, at risk of serious injuries. Like any other business, there are also a number of other liabilities that demolition contractors could face. If you are a PA demolition contractor, it's important to safeguard yourself from the perils that could arise. 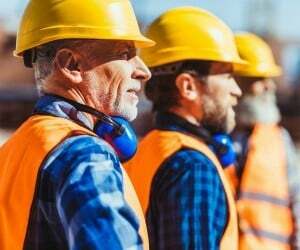 In addition to following safety protocols and offering training courses, carrying the right type of demolition contractors insurance Pennsylvania coverage is an absolute must. Demolition contractors insurance Pennsylvania protects your business from lawsuits with rates as low as $67/mo. Get a fast quote and your certificate of insurance now. Depending on the severity of the situation, the liabilities that are associated with your business could end up putting you in a serious financial situation. To avoid having to pay for costs out of your own pocket and potentially going bankrupt or going out of business completely, it's absolutely essential for you to have the right demolition contractors insurance Pennsylvania coverage. With the right policy, you can protect yourself from financial perils. 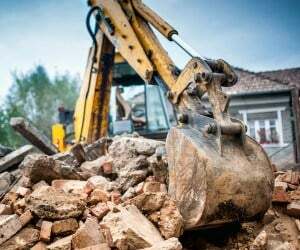 As a PA demolition contractor, it's important to make sure that you are properly protected from the financial that could arise as a result of the many liabilities that your business faces. To find out more about what type of insurance policies you should carry, how much coverage you should invest in, and if there are any specialized policies that are designed specifically for demolition contractors, speak to a reputable insurance broker. Request a free Demolition Contractors Insurance Pennsylvania quote in Aliquippa, Allentown, Altoona, Ambridge, Baldwin, Beaver Falls, Bellevue, Berwick, Bethel Park, Bethlehem, Bloomsburg town, Bradford, Brentwood, Bristol, Brookhaven, Butler, Camp Hill, Canonsburg, Carbondale, Carlisle, Carnegie, Castle Shannon, Chambersburg, Chester, Coatesville, Collingdale, Columbia, Connellsville, Conshohocken, Darby, Dormont, Downingtown, Doylestown, DuBois, Dunmore, East Stroudsburg, Easton, Economy, Elizabethtown, Ellwood, Emmaus, Ephrata, Erie, Franklin Park, Gettysburg, Glenolden, Greensburg, Grove, Hanover, Harrisburg, Hatboro, Hazleton, Hermitage, Huntingdon, Indiana, Jeannette, Jefferson Hills, Johnstown, Kingston, Lancaster, Lansdale, Lansdowne, Latrobe, Lebanon, Lewistown, Lititz, Lock Haven, Lower Burrell, McKeesport, Meadville, Mechanicsburg, Middletown, Millersville, Milton, Monessen, Monroeville, Morrisville, Mount Joy, Munhall, Murrysville, Nanticoke, New Castle, New Cumberland, New Kensington, Norristown, Northampton, Oil, Old Forge, Palmyra, Perkasie, Philadelphia, Phoenixville, Pittsburgh, Pittston, Pleasant Hills, Plum, Pottstown, Pottsville, Quakertown, Reading, Ridley Park, Scranton, Shamokin, Sharon, St. Marys, State College, Sunbury, Swissvale, Tamaqua, Uniontown, Warren, Washington, Waynesboro, West Chester, West Mifflin, White Oak, Whitehall, Wilkes-Barre, Wilkinsburg, Williamsport, Wilson, Wyomissing, Yeadon, York and all other cities in PA - The Keystone State.